493/2011 Letter dated 09.09.2011 from RTI Branch on the subject Half Day Seminar on Right to Information - Challenges and Opportunities. 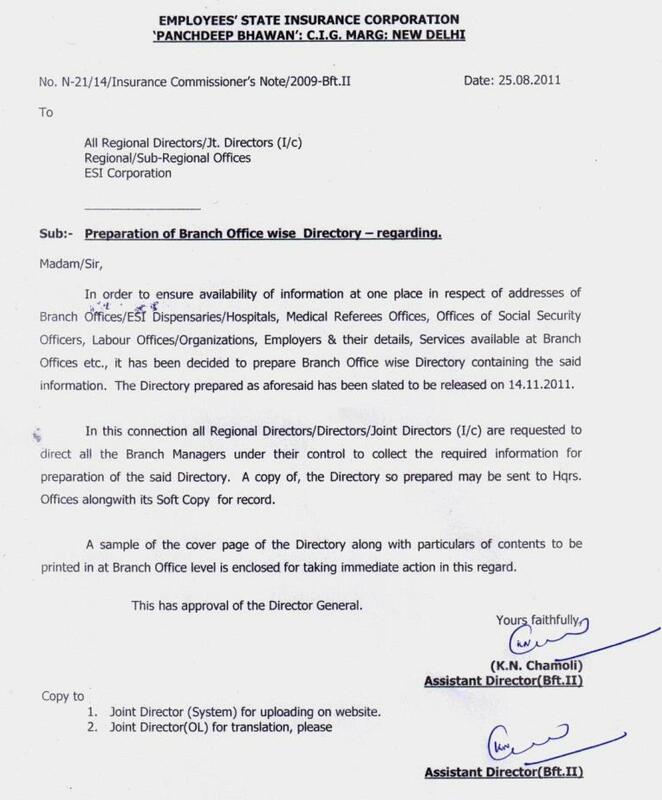 446/2011 Letter dated 09.08.2011 from Benefit II Branch on the subjectEnhancement of powers re-delegated by the Director General to waive/ write off over payment made to the IPs in each case from Rs.1000/- to Rs.7000/- reg. 444/2011 Letter dated 11.08.2011 from Fin.&A/c I Branch on the subjectSchedule of Receipt and Expenditure in the prescribed format. 1. 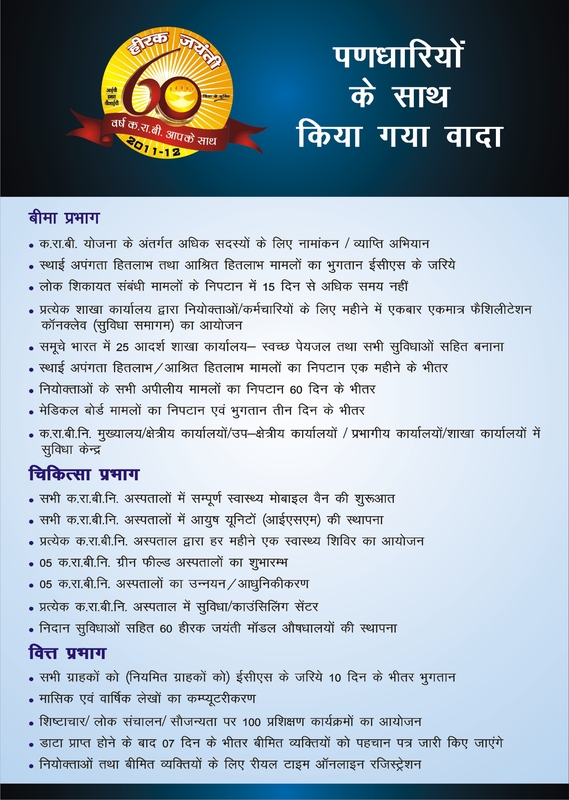 Frequently Asked Questions regarding Processing of Benefits in the Application. 364/2011 Letter dated 30.06.2011 from Estt.III Branch on the subject Modified Assured Career Progression Scheme (MACPS) for the Central Government Civilian Employees - clarifications - regarding. 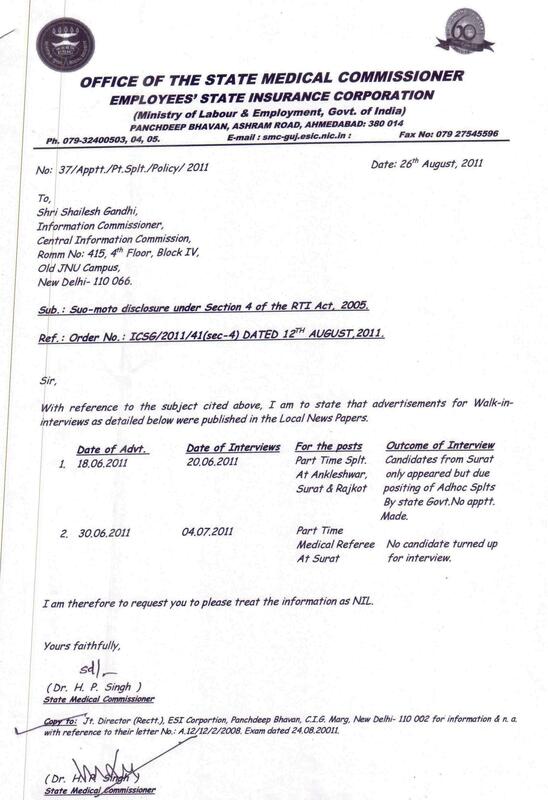 358/2011 Letter dated 28.06.2011 from P & D Branch on the subjectAmendments in Employees'State Insurance (Central) Rules, 1950 - -Gazette Notification dated 15.06.2011. Encl. 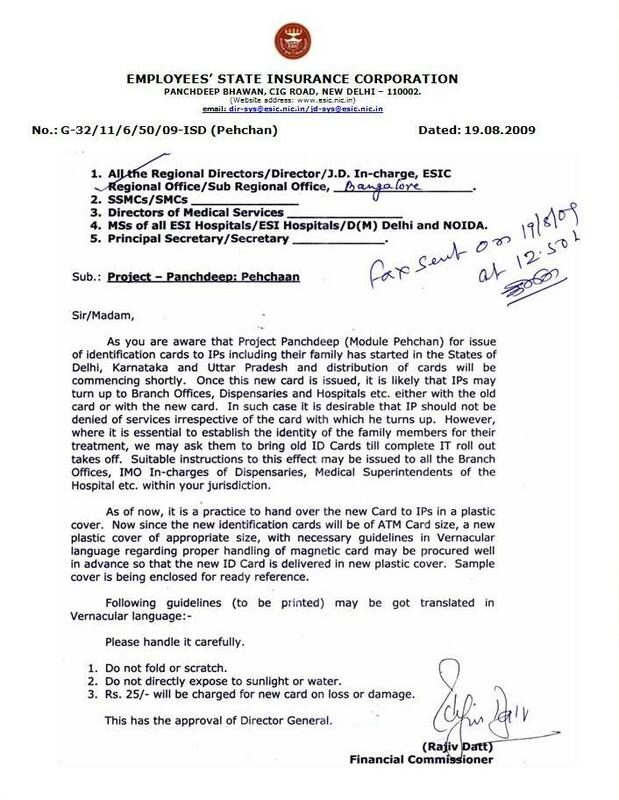 (249a/2011): Letter dated 16.05.2011 from PR Branch on the subject Fresh and Corrected design of poster regarding ""Target dates for Implementation for Various Modules under Project Panchdeep'. 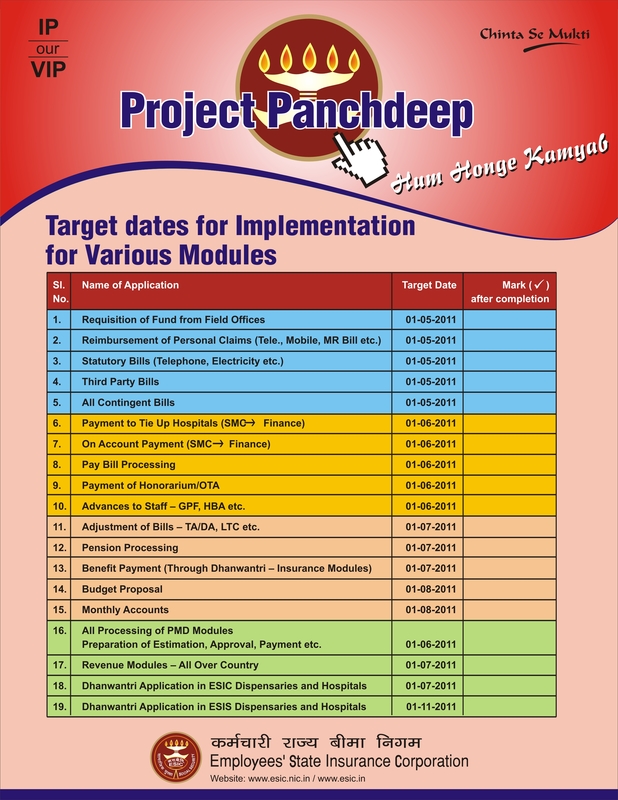 249a/2011 Letter dated 16.05.2011 from PR Branch on the subject Fresh and Corrected design of poster regarding ""Target dates for Implementation for Various Modules under Project Panchdeep'. 214/2011 Circular dated 28.04.2011 from Cash Branch regarding complaint received from M/s.Lumax Tours & Travels Ltd.
213/2011 Letter dated 26.04.2011 from Fin.&A/c II Branch on the subjectCollection/remittance of ESI Contributions through system generated Challans - details of contribution received - reg. 197/2011 Letter dated 08.04.2011 from Fin & A/c II Branch on the subjectReconciliation of contribution received through system generated challan but credited to regional office Account. 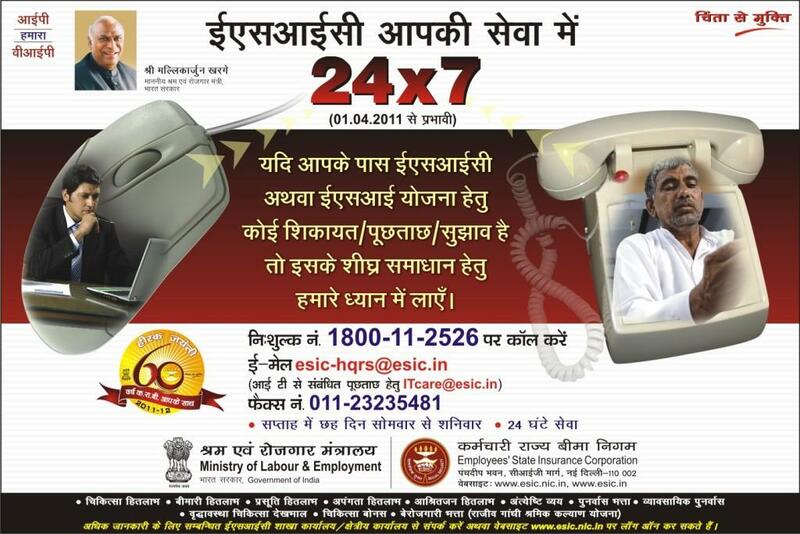 186/2011 Advertisement regarding 24 x 7 Helpline services in ESIC. 2. Letter No.F-16/15/2011-EVI dated 25.02.11 from Estt.VI Branch on the subject Revised Allotment of funds for the year 2010-11. 071/2011 Letter dated 15.02.2011 from Med. 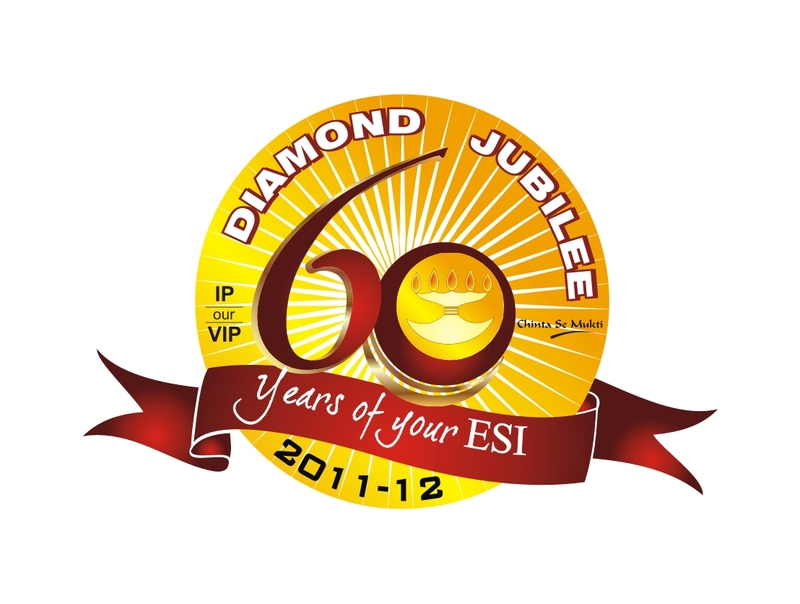 Branch on the subjectDiamond Jubilee Celebrations of ESIC - REG. 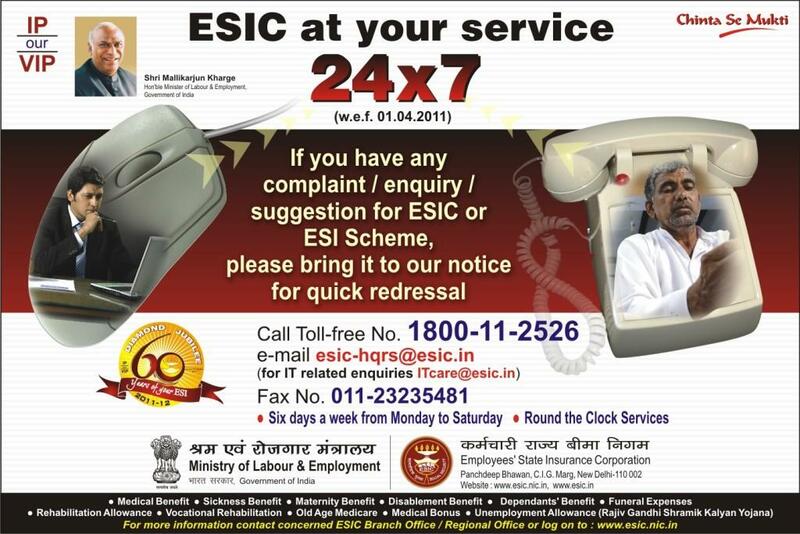 050/2011 Letter 03/05.01.2011 from Directorate (Medical) Delhi on the subject Provision of medical facilities not available in ESI Hospitals in Delhi & NCR region to IP, ESIC Employees/Pensioners and their dependents covered under ESIS, Delhi/New Delhi/ Noida through tie-up arrangement with reputed private Inst. 1. 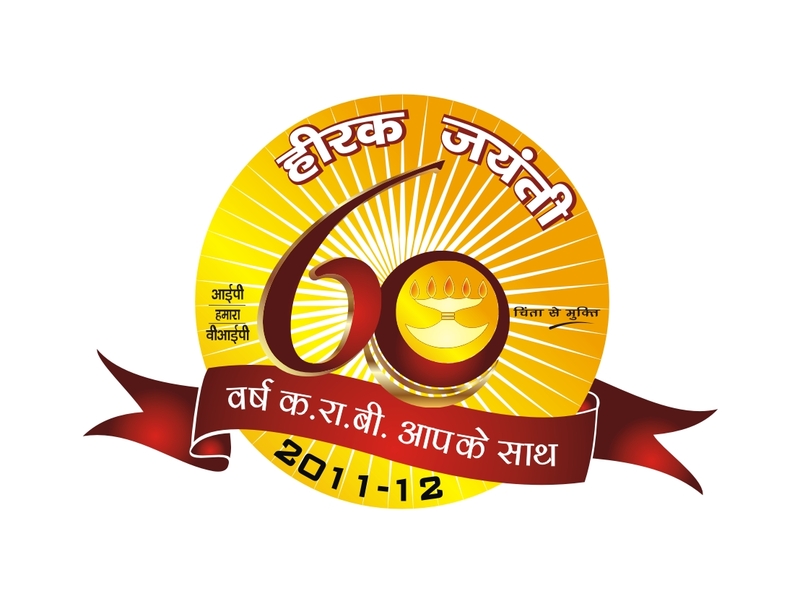 Grant of additinal pension to old pensioners/ family pensioners on attaining the age of 80 years and above. 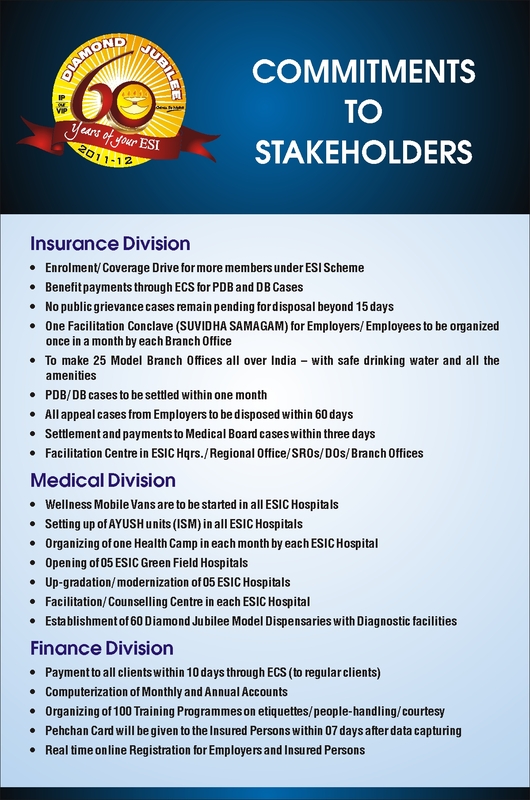 M/s.Arihant Threads Ltd Vs E.S.I.C.